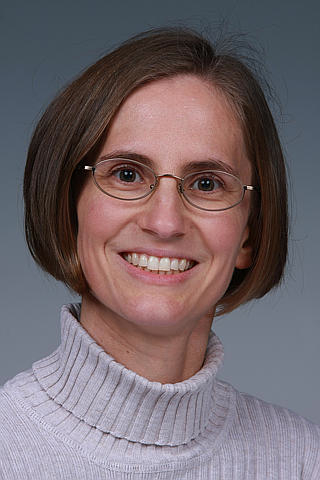 Congratulations to Dr. Tiffany Kaspar at Pacific Northwest National Laboratory on being named an outstanding referee of the Physical Review and Physical Review Letters journals. She was selected for her quick and high-quality reviews. Kaspar, who began reviewing articles as a graduate student, referees several articles each year. She strives to provide a thorough review, pointing out weaknesses and noting ideas for improving the paper. When the research is outside her area of expertise, she often spends time learning how the results complement the broader context. She often finds herself counseling authors to not read more into their data than can be supported. At PNNL, Kaspar studies the growth and properties of epitaxial thin films of novel oxides for energy applications. Her work includes the electronic, photoactive, and magnetic properties of doped binary and complex oxides. Further, she studies lattice-mismatched epitaxial metal films on oxide substrates for radiation damage studies. Her fundamental research in pulsed laser deposition of complex oxides is providing new insights for solid oxide fuel cells.